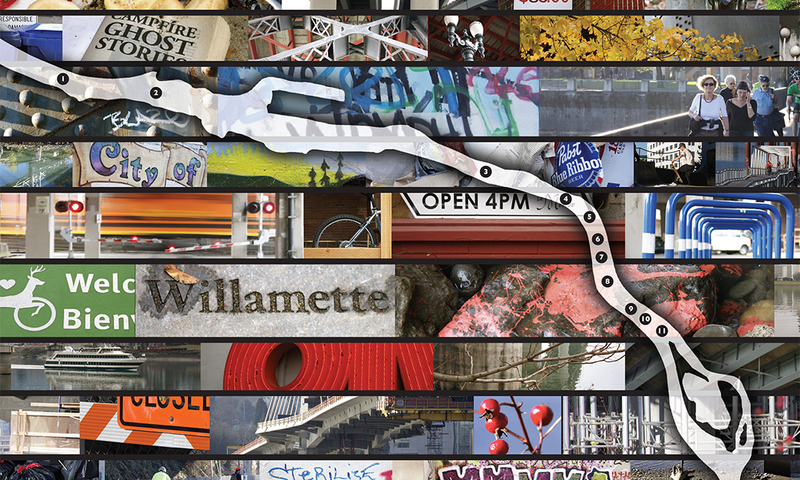 Project: Portlandness: A Cultural Atlas is a collaborative project started by David Banis and Hunter Shobe of Portland State University. 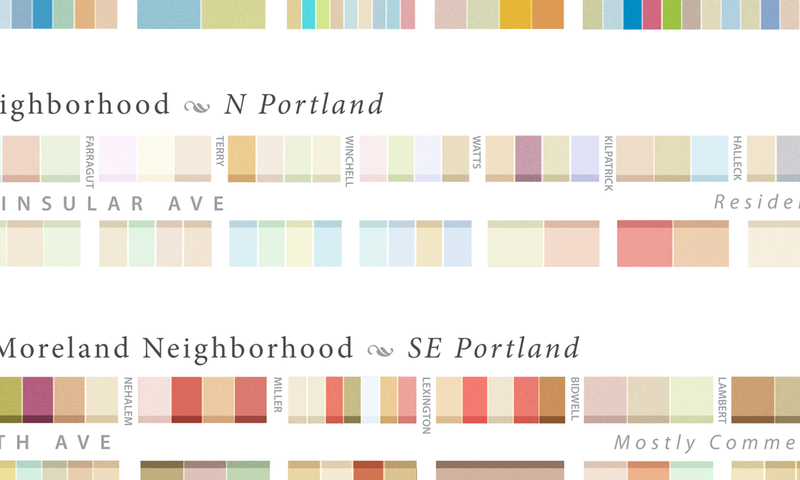 The Atlas is a collection of non-traditional maps of Portland, meant to give the reader a very different view of our city than a conventional atlas might provide. During this multi-year endeavor, members of Cartesian Collective served as the Atlas’ lead cartographers and have contributed countless hours of research, cartography, and guidance to the project. The Atlas was published in fall of 2015 by Sasquatch Press and quickly sold out of its initial print run soon thereafter. “We are making The Cultural Atlas of Portland because we want to provide people with a variety of views and perspectives of this city. In both serious and humorous approaches, the Atlas will challenge accepted narratives of the city. We seek to provide a new cartography of Portland, and given the recent national interest in Portland, producing this atlas now is timely. We work on this project with students and recent graduates so that at its core, it is a collaborative project“. The images shown here are from a few early drafts of the maps in the Atlas. 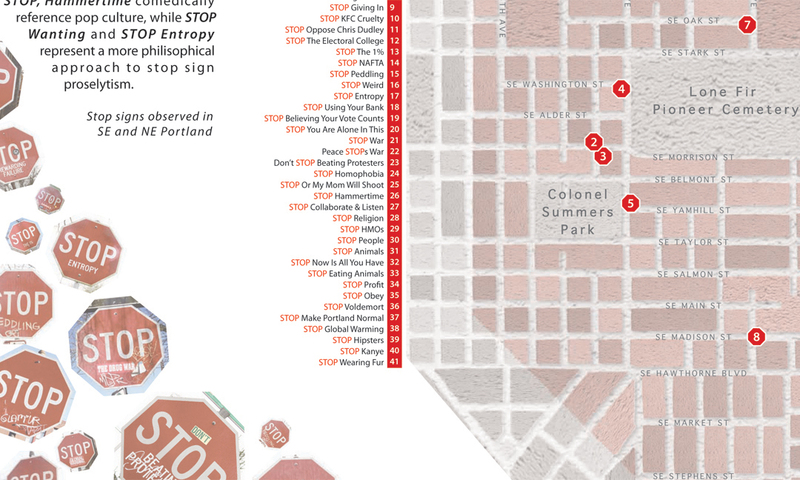 The image at the top is a detail view of a stop sign graffiti map of SE and NE Portland. 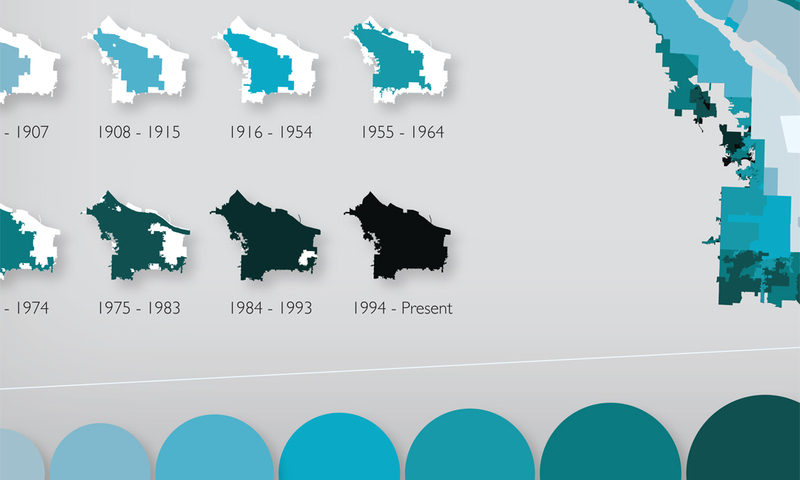 Detail view of a map showing growth of the city over time. Detail view of scenes underneath Portand’s bridges. Detail view of a “color map” of multiple Portland streets.